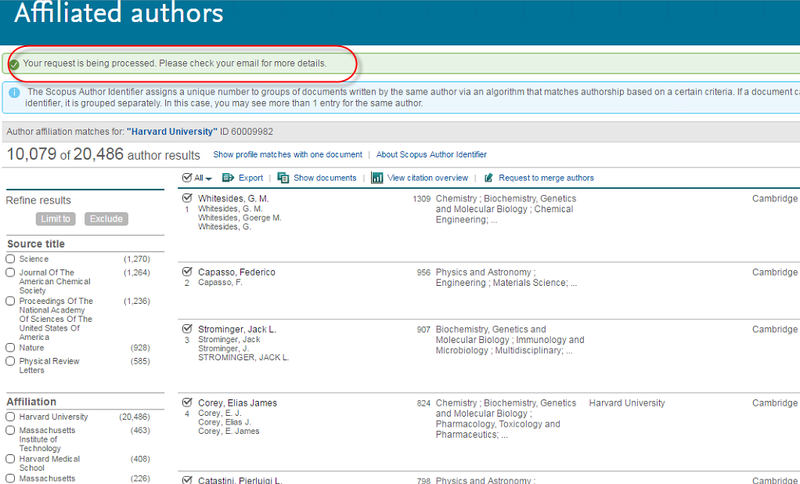 Select the authors you want to include in your export, up to 100,000. 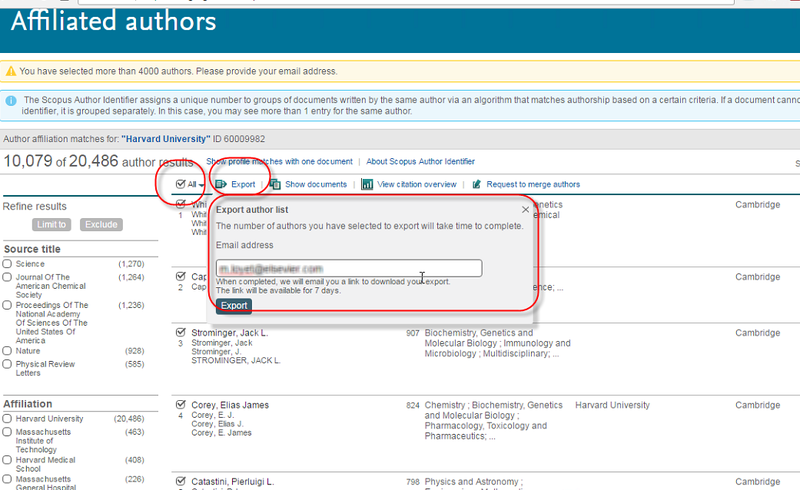 In this example, we’ve selected over 4,000 authors, thus an email address is required. If you’ve requested over 4,000 authors for your export, you will be notified when the file is available through the email you supplied. Restricting the characters allowed in naming a Saved Search decreases the potential for bugs and security issues. 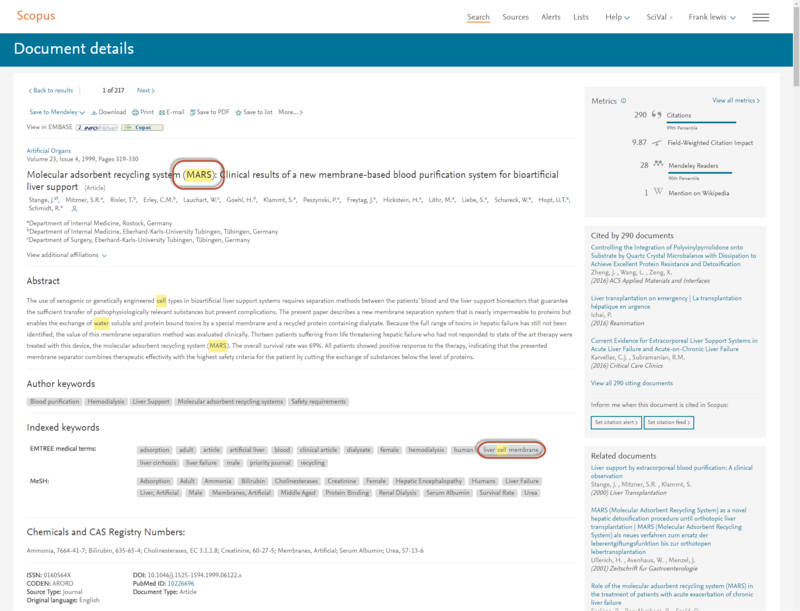 In the main body of the page, keywords matching your queries are now highlighted in yellow. Additionally, keywords in the keywords section are now displayed in their own box. 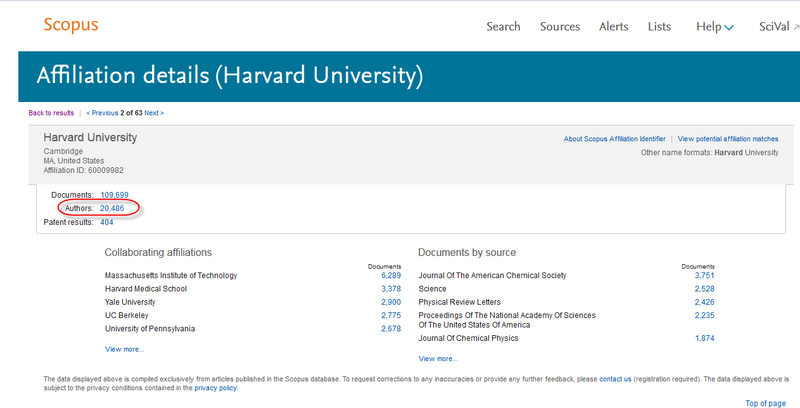 In the export options, you can now manually select your export field (with the exception of Mendeley).